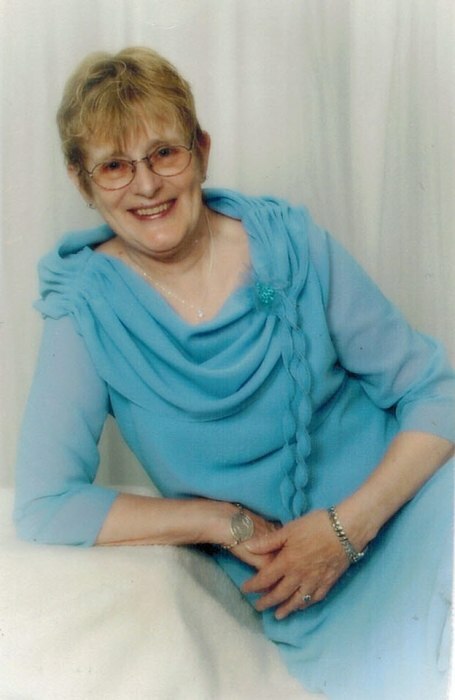 Beach – Hegmans, Marie “Liz” Elizabeth Anne – Peacefully at Peterborough Regional Health Centre on Wednesday, January 23, 2019, Liz went to be with her Lord after her 80th birthday. Liz was the daughter of the late Peter and Reatha Hegmans of Simcoe and sister of the late Peter Hegmans. Liz was the mother of Tony, Terry, Trudy, Teresa and Tina. Grandmother of 16 and great grandmother of many. Survived by one sister Anne along with 2 nieces and 2 nephews from Simcoe and Toronto. Liz was born in Simcoe and left there as a teenager to reside in Hamilton. Later she moved to Guelph and back to Hamilton before settling in Peterborough to raise her young family alone. Liz was a retired Corrections Officer for Y.O.U. in Bowmanville until it closed and then went to St. John’s in Uxbridge. Here, she was highly respected in her field by her peers and Christian Brothers. In 1992, she was presented with the Distinguished St. John Baptist Las Sallian award for her dedication and service in Chicago. For 20 years, she wrote and published a newsletter for the A.A. group’s anniversary each February. This was another way of carrying the message of hope to other institutions including Attica, Collins Bay, Joyceville, Warkworth and Millbrook. Liz has an extended family tree in A.A. since October 25, 1969 and was instrumental in starting several Liberty groups in Hamilton, the training school and in Peterborough. She will be remembered with love by many friends including Bill C. Wayne D., Sandra B., Roxy, Paul B., Jim H., Judy M. and a long list of others. When she wasn’t on a call to help someone, she would volunteer at the Humane Society Thrift Shop once a week. Liz was an affiliated member of the Royal Canadian Legion, Branch #52 and was also a member of St. John’s Roman Catholic Church. On behalf of the family, they will be forever grateful for the kindness and caring throughout mother’s illness. Special thanks to Dr. Uy and nurse Sabrina, the Regional Hospital and staff, Durham Cancer Centre, Cobourg Hospital and staff, Cancer Society (Transportation Dept. ), Dr. El-Mallah, Dr. Cheveris, Dr. Mikuila Dr. Hartleib, Dr. Beamish and Paramed. Also a special thanks to her daughter Teresa and Sandra for being her caretakers during her illness. Friends will be received at Highland Park Funeral Centre (2510 Bensfort Rd.) on Friday, February 1, 2019 from 7 -9 p.m. A Celebration of Life will be held on Saturday, February 2, 2019 at 10 a.m. in the Highland Park Chapel. In memory of Liz, donations may be made to the Royal Canadian Legion “Branch #52”, Canadian Cancer Society or St. John’s Roman Catholic Church.